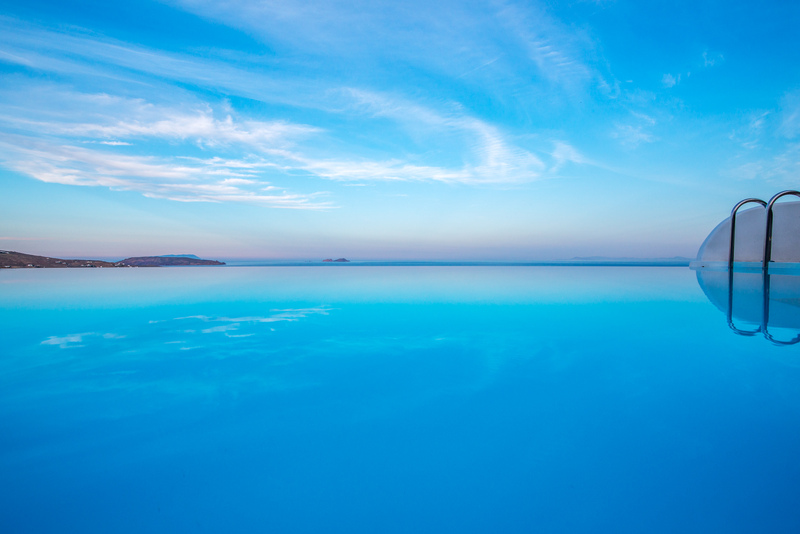 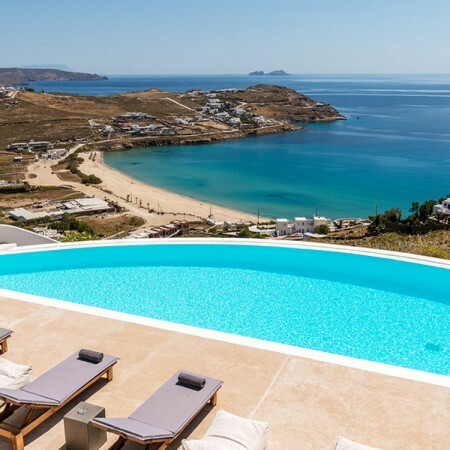 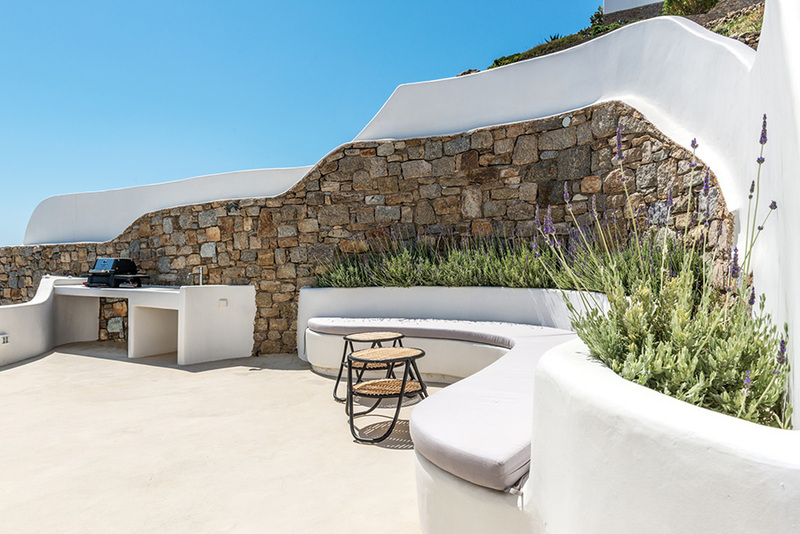 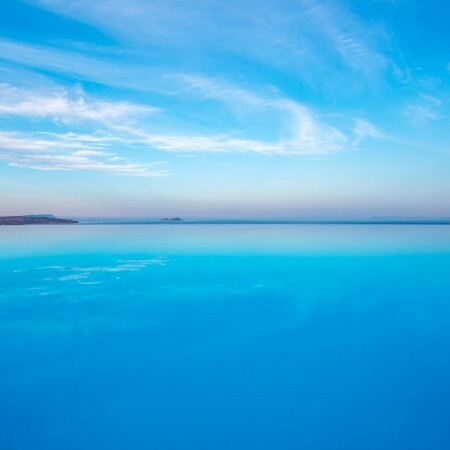 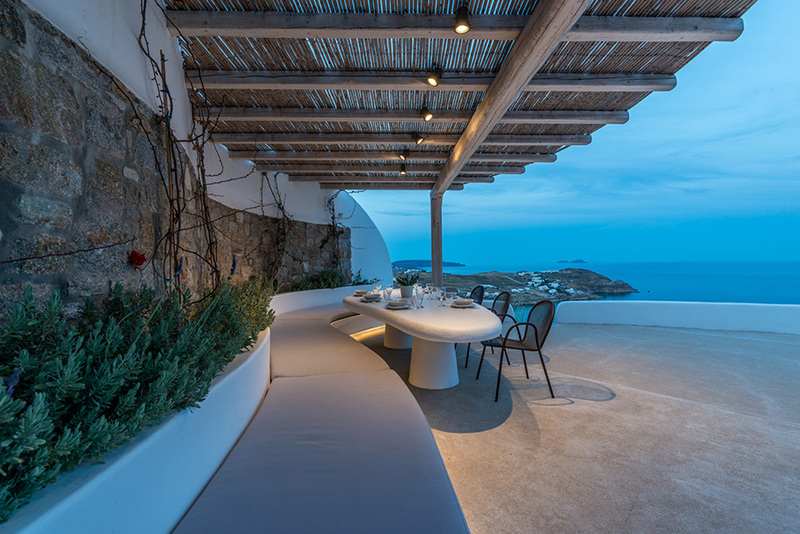 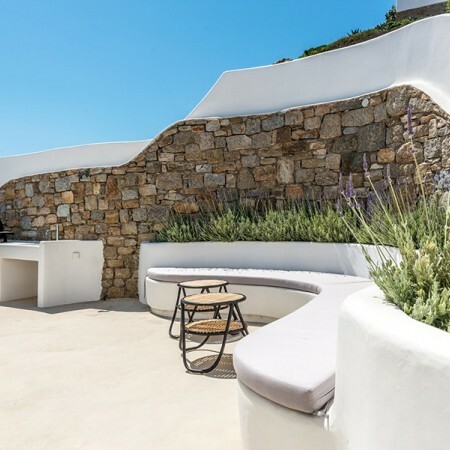 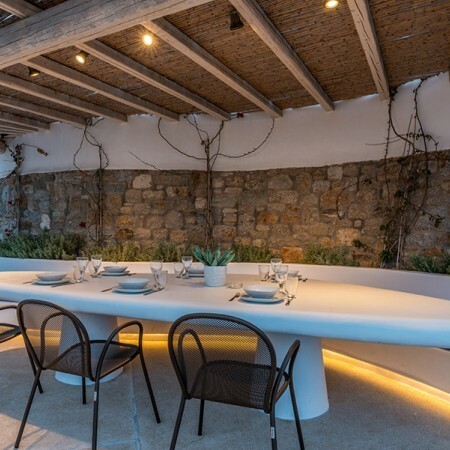 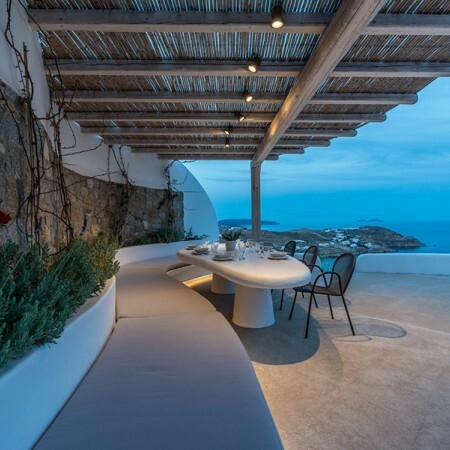 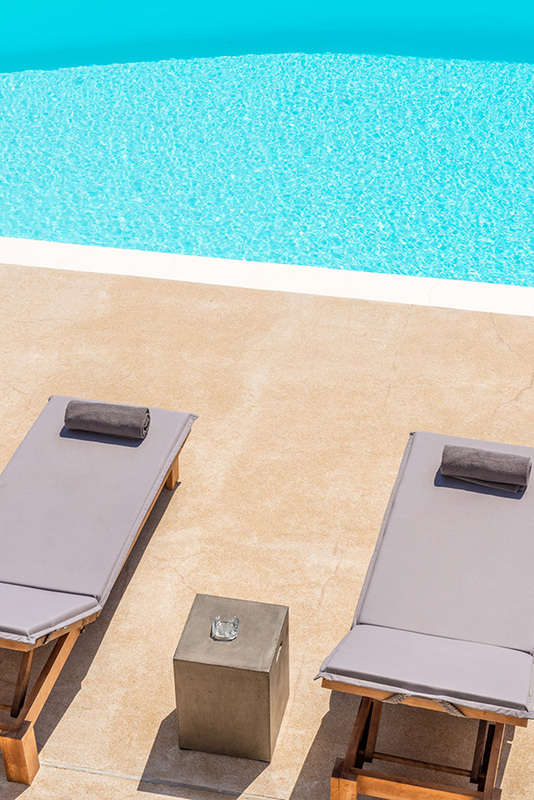 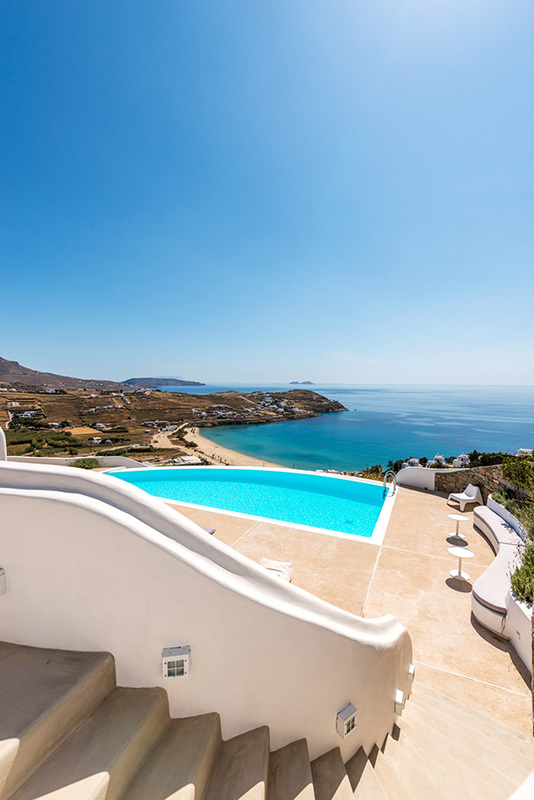 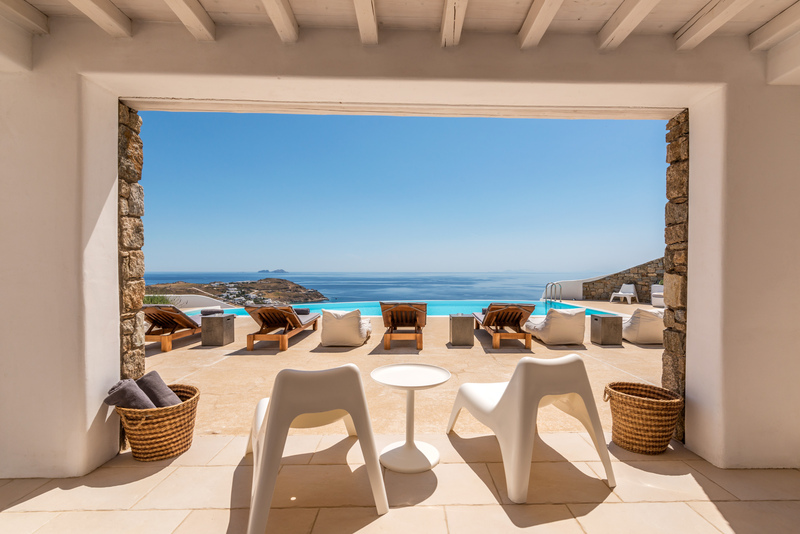 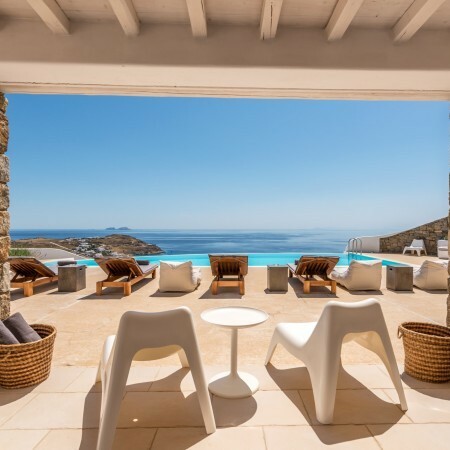 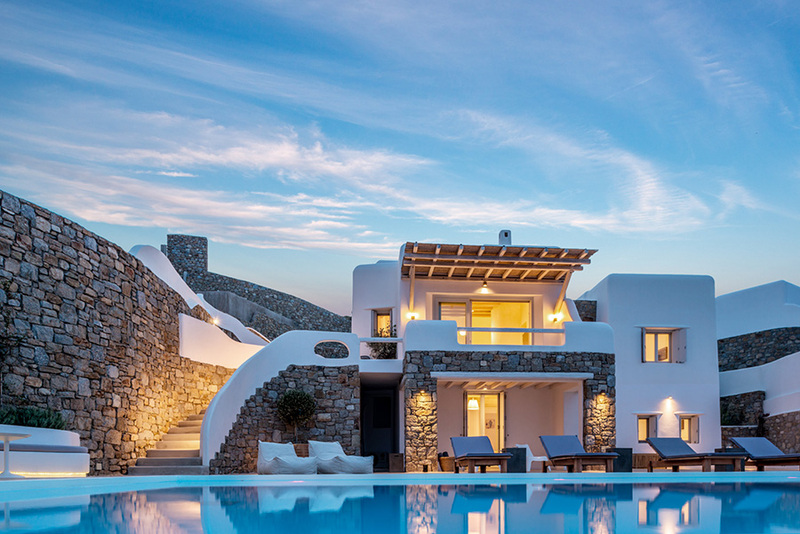 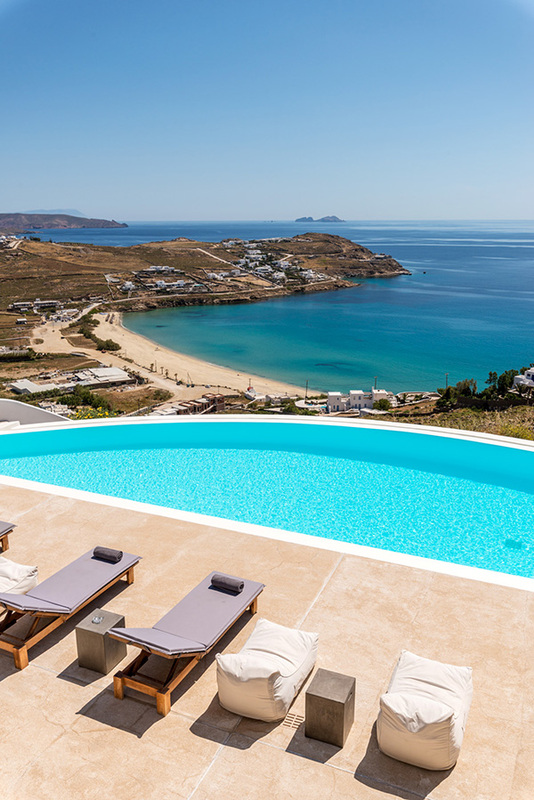 Villa Odette enjoys some of Mykonos' most impressive views, stretching across the Aegean blue waters all the way to neighboring Naxos island. 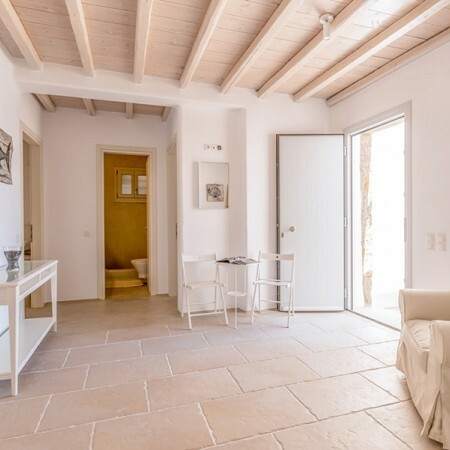 This 250 sq.m. 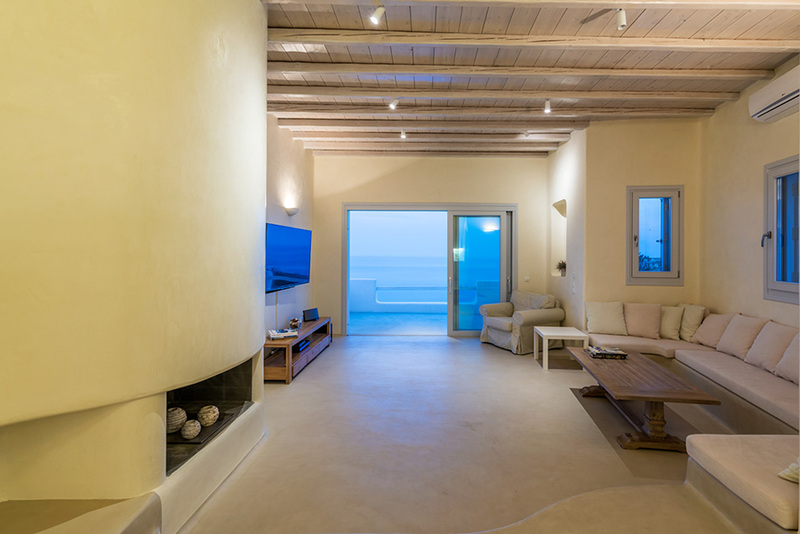 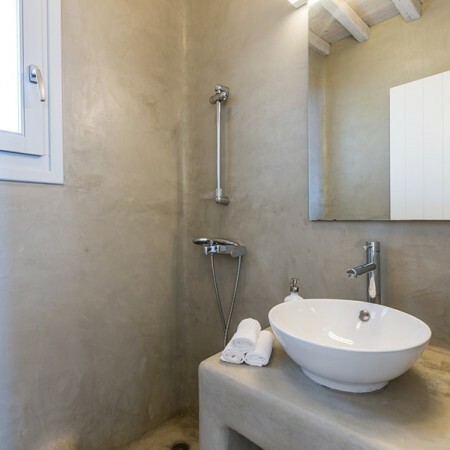 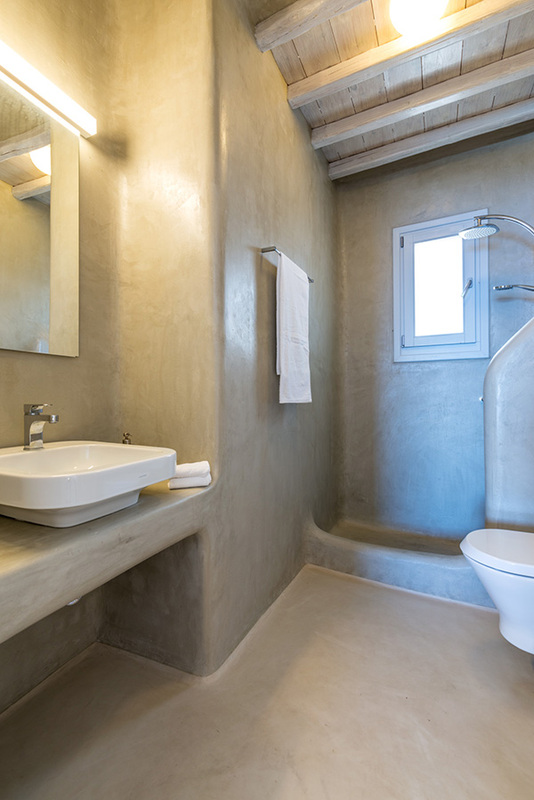 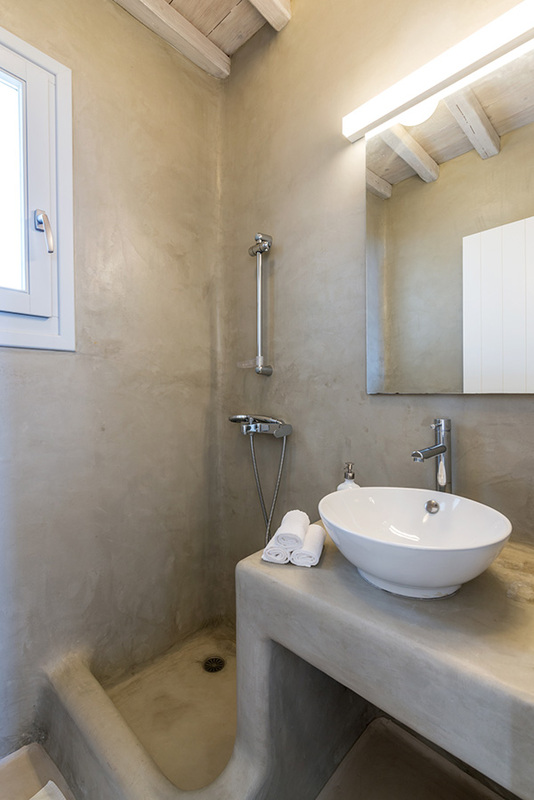 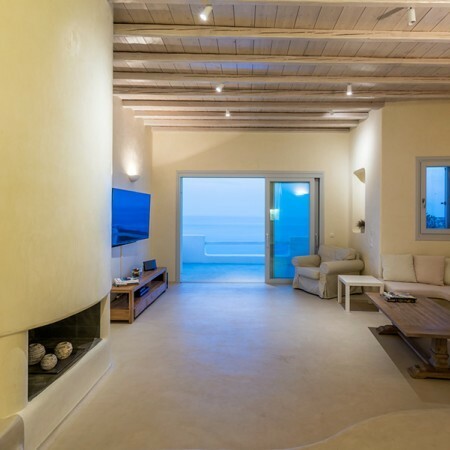 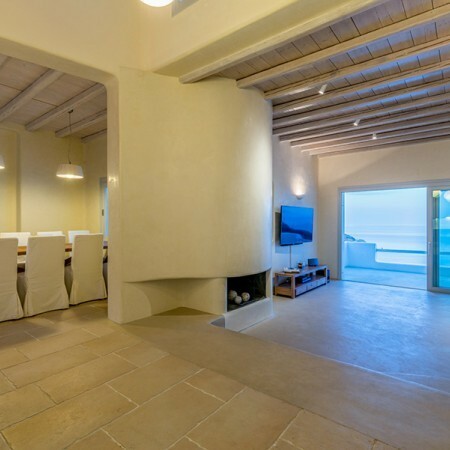 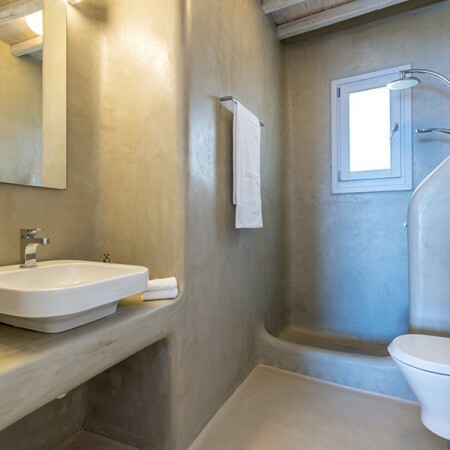 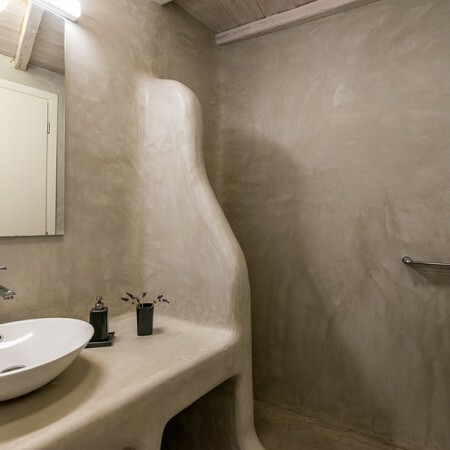 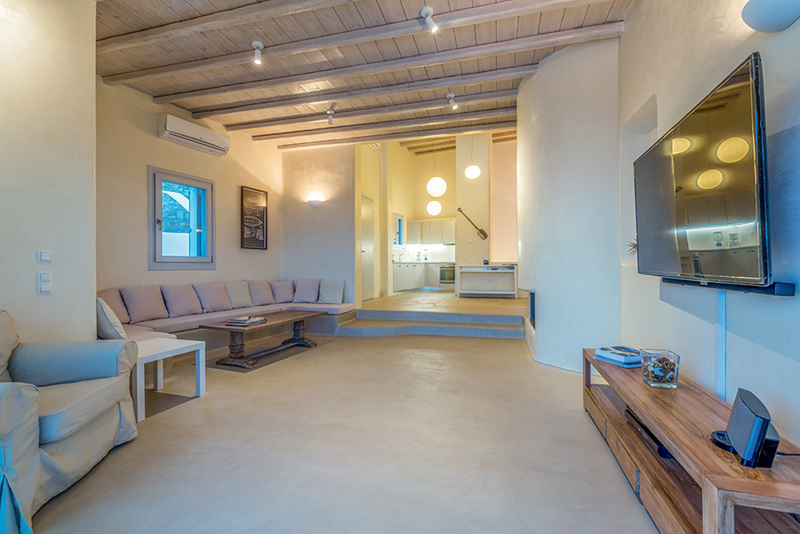 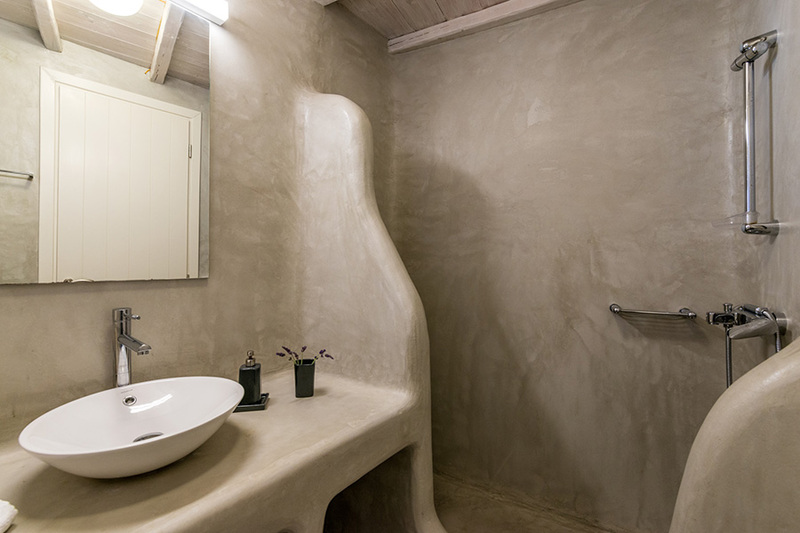 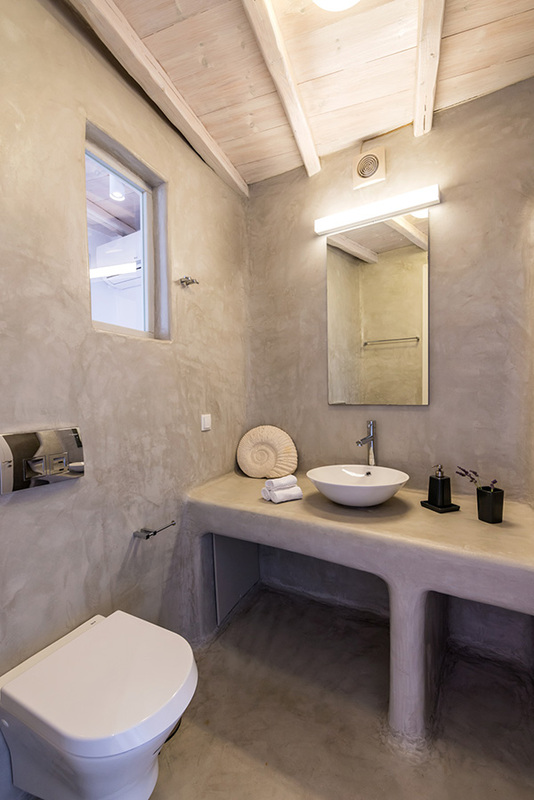 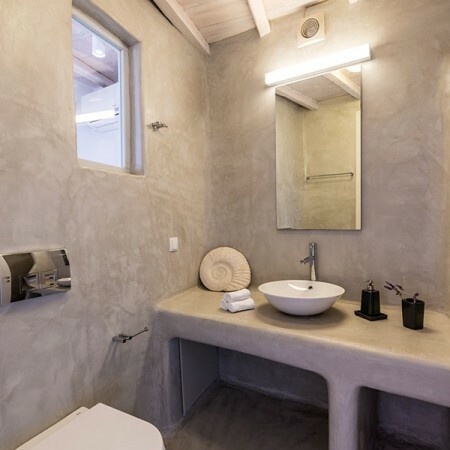 villa, is arranged on two levels and boasts six bedrooms and a lot of outside space including a private infinity pool. 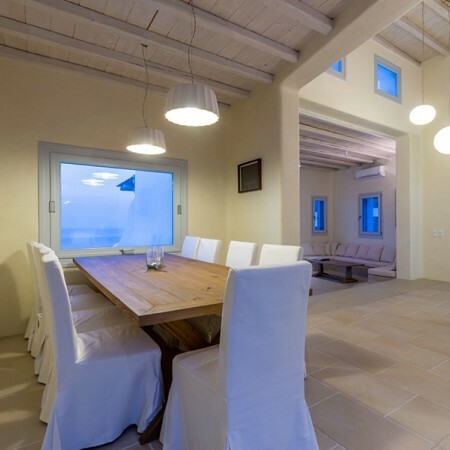 This villa has been designed to accommodate ten people in comfort and style also offering privacy, seclusion, and amazing views. 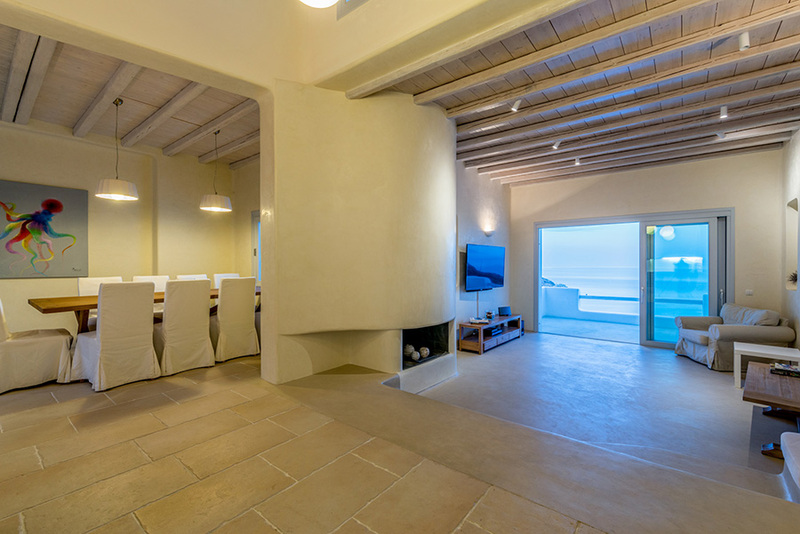 Six bedrooms and six full bathrooms, a fully equipped kitchen and a dining room and living room complete the interior. 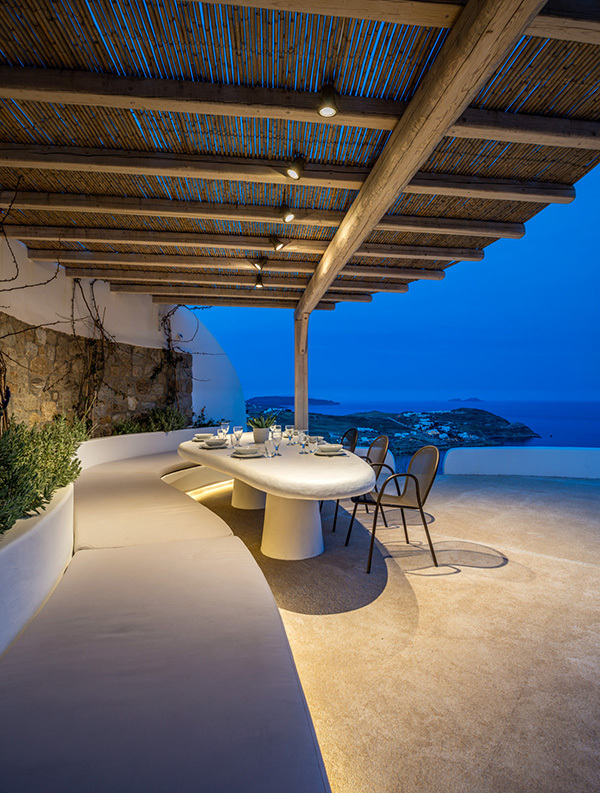 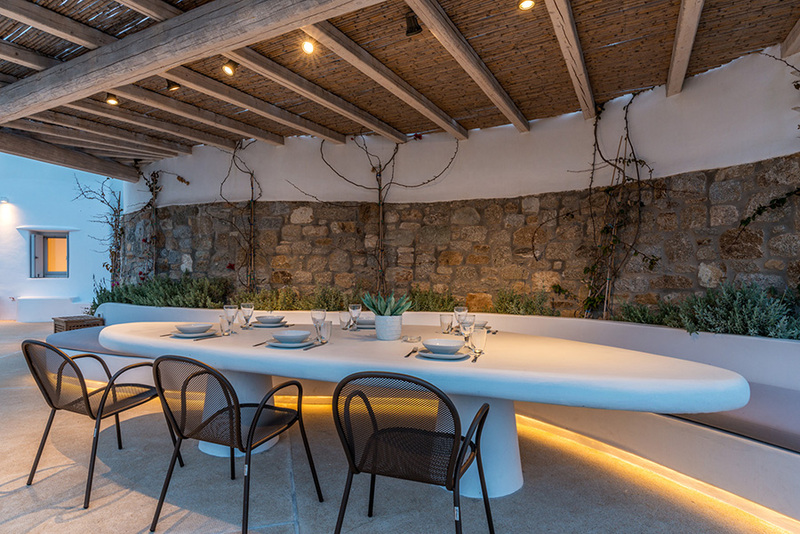 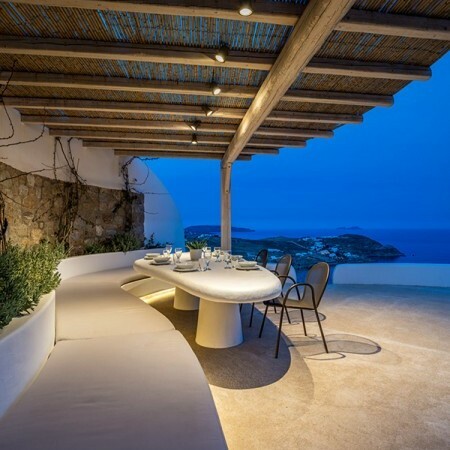 For classic Mykonian al fresco dining experiences, there is shaded outdoor dining area that can accommodate fifteen or more people. 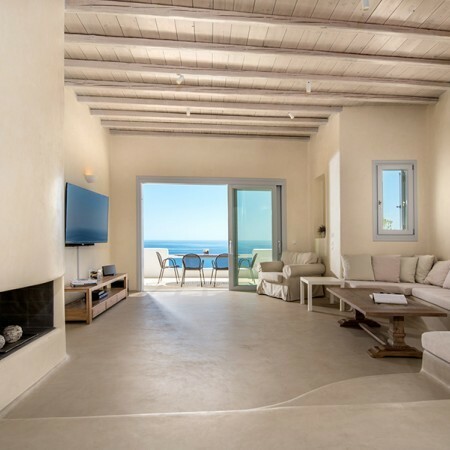 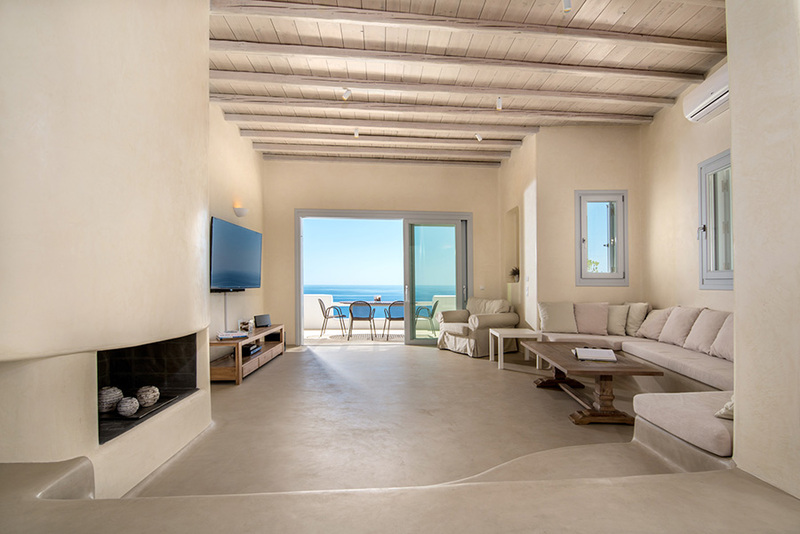 This elegant and spacious villa faces south in a privileged wind-sheltered location overlooking the stunning golden sands and crystal blue waters of Kalo Livadi beach below. 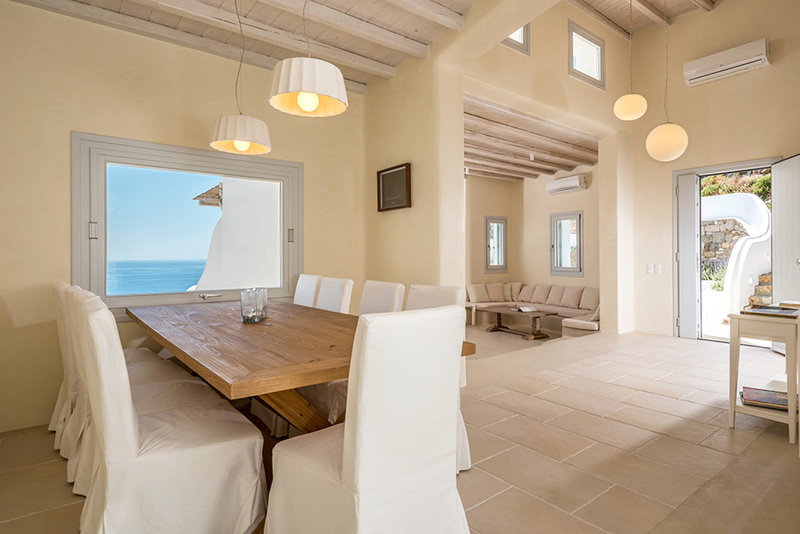 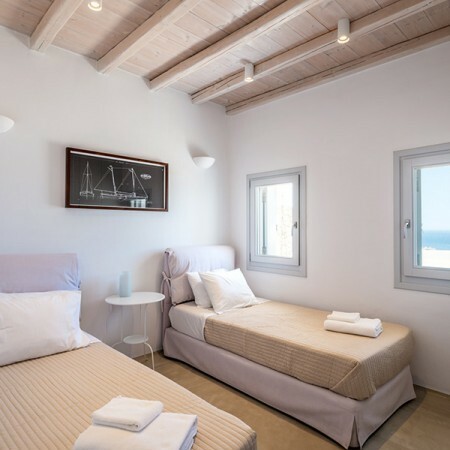 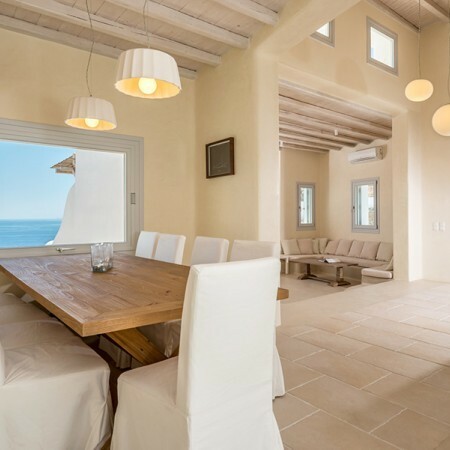 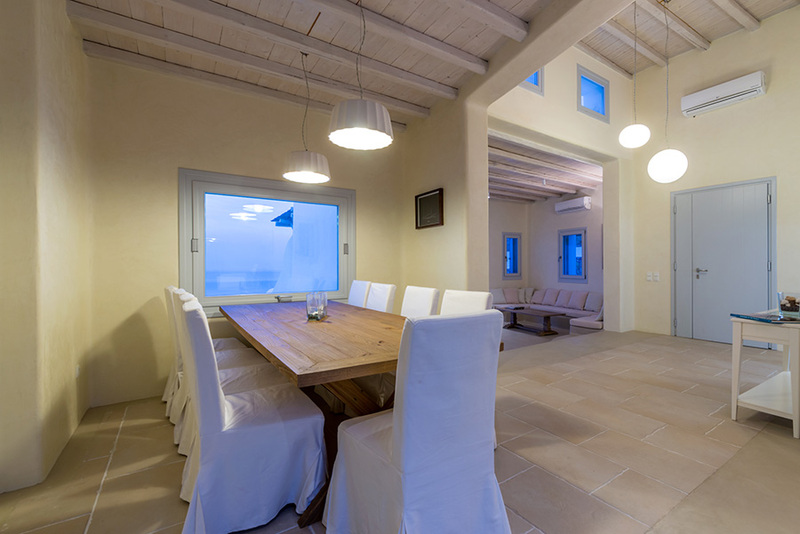 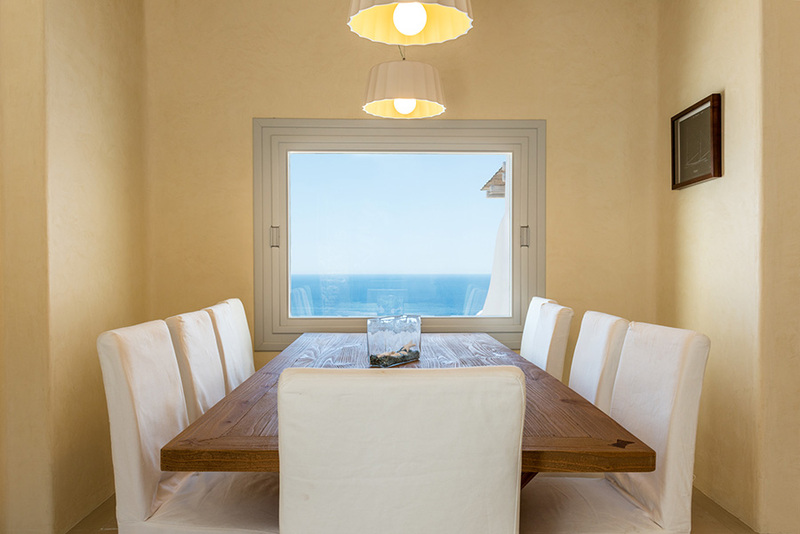 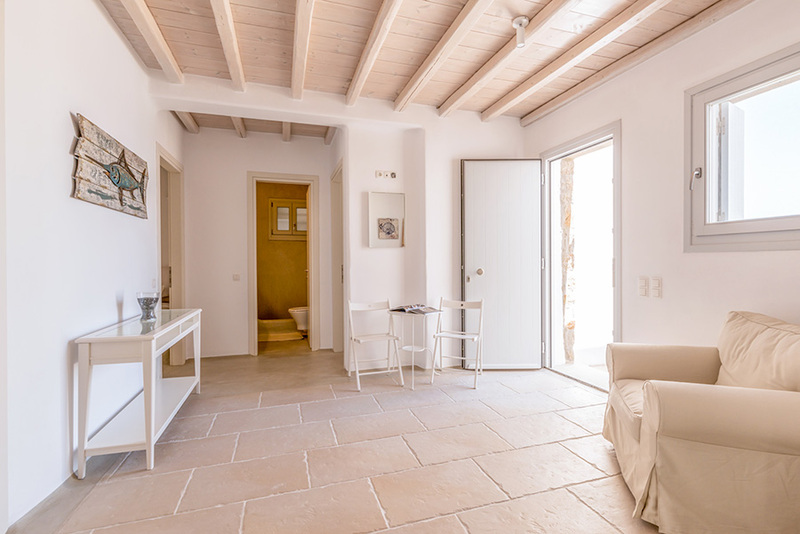 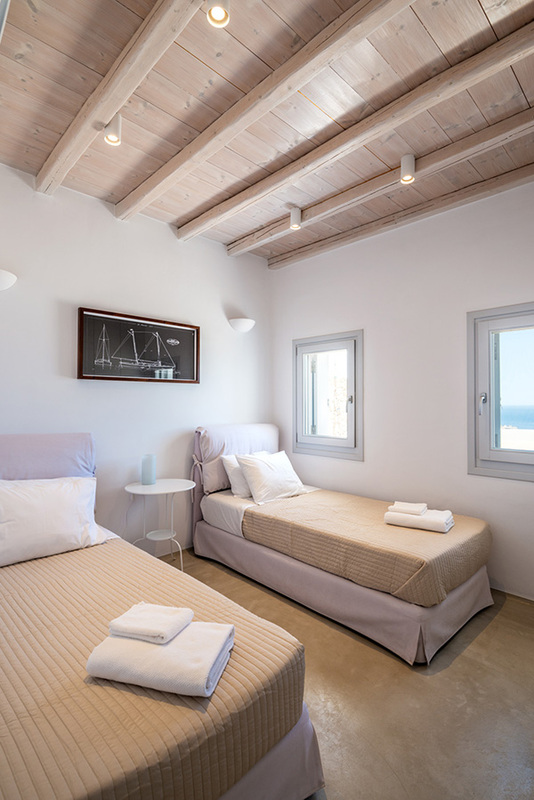 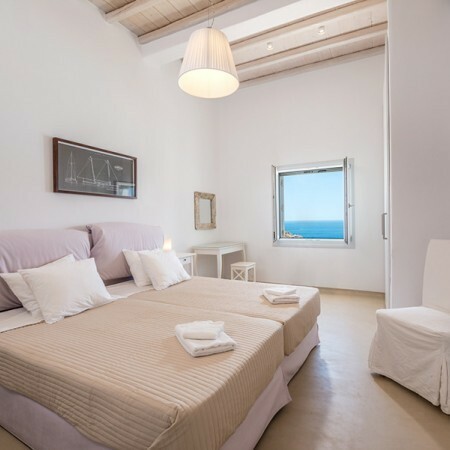 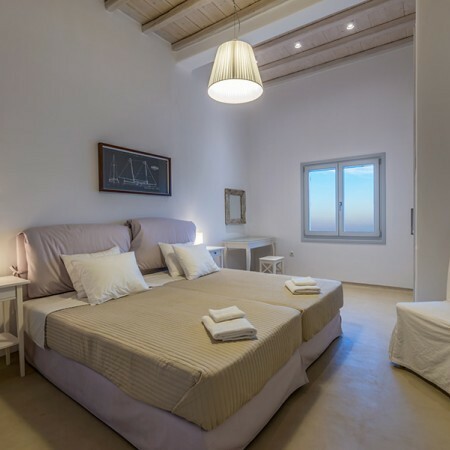 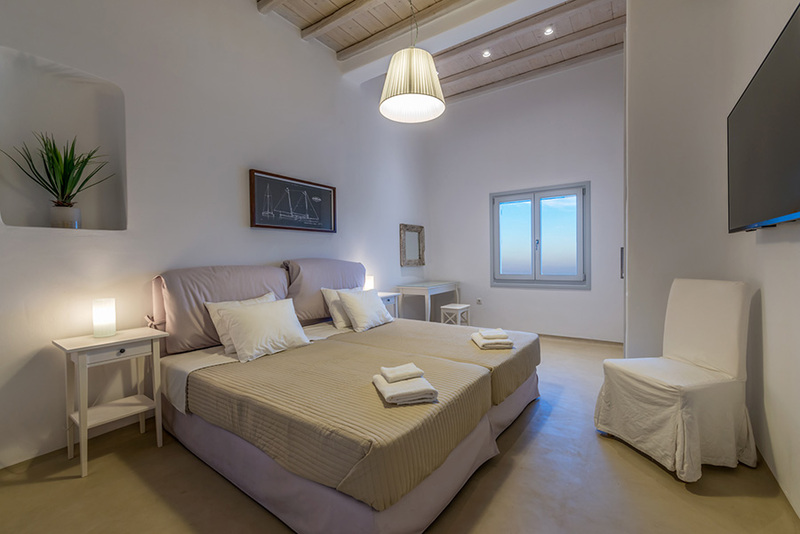 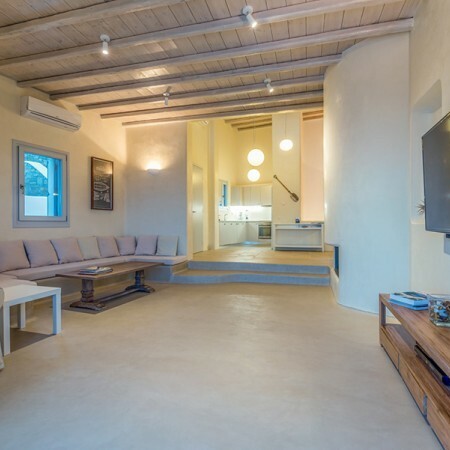 Villa Odette is a property of exception on an island of exception, offering a lot of privacy, amazing sea-views and is just a short 5-minute drive to several beautiful beaches and restaurants.